If you are looking for a good pair of headphones but don't know where to start this guide can help you make an informed choice. There is a wide choice of headphones provided here - from Bluetooth headphones to ones with microphones and more. Take a look. For a music buff, looking for the right headphones is never easy, especially with so many choices out there. Most people I know don't prefer in-ear models. I too find them a tad uncomfortable to wear, and prefer over-the-head ones. There's a good selection in the market – ranging from different price bands to varied styles. 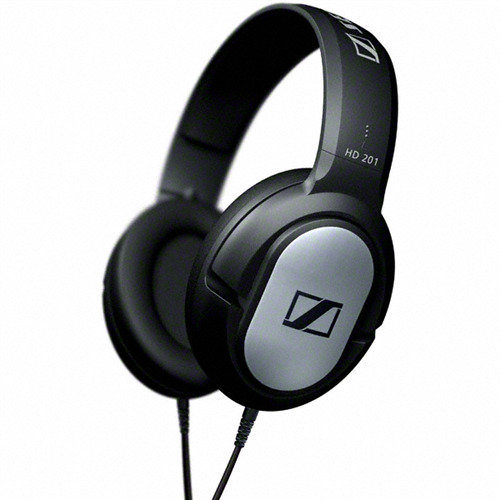 If money is a criterion then the Sennheiser HD201 is worth considering. They are light and comfy, supra-aural headphones that come with a 3 metre long cable. You get perfect sound, bass and noise reduction at an incredible price of Rs.930 on Snapdeal. There is also the supra-aural Sennheiser Tempo headphone priced slightly more than the HD201. There's a huge variety of headphones with microphones to choose from. Amkette True Beats Tango: This is another affordable headphone as it is priced around Rs.1500. It is a chic foldable model, with supra aural. The headphones have an input port en-suited in the right ear cup. You can use it to daisy chain a second headphone to the port, to allow a buddy to plug in and listen to whatever you are listening. Philips O'Neil Cruz: The Philip's headphone is yet another supra aural device. It comes with a tangle-free cable (which is a blessing, knowing how tangled cables can be so irritating) and a flexible headband for added comfort. This headphone can be yours for approximately Rs.1,600. Panasonic RP-HXD3WE-R 3 Icon: This supra aural headphone is a little steep at Rs. 2,200, but is worth the price. You get silicone ear cups, which makes it possible to keep these headphones on for long durations without any discomfort. Silicone ear cups provide more comfort than ear cups with sponge padding or leatherette. Urban Ears Tanto: Styled like the walkman headphones the ear cups on the Urban Ears Tanto are connected by a thin metal band. These come with a durable braided cable and supra-aural ear cups. The price is Rs. 2,400. 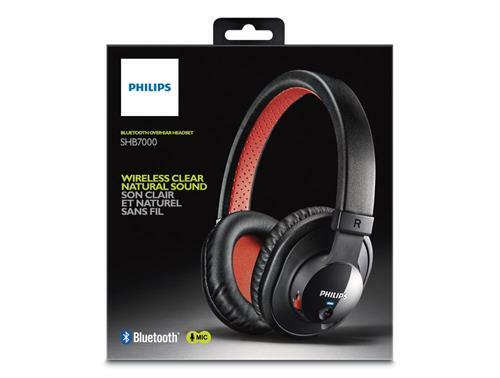 If you're willing to spend a little extra and want a more technologically advanced headphone then opt for the Philips SHB700. This circum-aural headphone costs roughly Rs. 2,800. It's a wireless model; but you can use it with cables as well. Cables come with the headphones. The headphone has some great features; like controls on the headset. This allows you to adjust the volume, toggle between tracks and take phone calls. Casio XW-H1: You get a flexible headband with this supra-aural headphone. It costs around Rs. 4,500 and the detachable cables are tangle free. The premium variants costs over 10 K; and if money is not a constraint then these are the headphones to take home. Bose SoundTrue Headphones: The price for these is a whopping Rs. 11,200. The Bose headphones have been especially created for the Apple iPhone, however it complements Android handsets too and most features work well. The headphone comes with supra aural ear cups, a microphone and detachable cable. Plantronics Backbeat Pro: The Rs. 12,245 headphone is a sophisticated piece of equipment. This is the only headphone in this entire range that has circum-aural ear cups. It has Bluetooth and a microphone and is a foldable device that can be used with/without cables. It is, what one would call an awesome headphone. It has NFC for wireless pairing, and a noise cancelling mode for better sound quality. The right ear cup has the volume controls as well as a toggle for easy change of tracks. Furthermore, this intelligent gadget pauses music automatically when it's removed from the ears and placed round the neck. Supra-aural headphones sit right on the ear, while circum-aural headphones have larger cans and envelop the entire ear. Circum-aural headphones are considered better as they provide better sound isolation. Juana is a freelance writer publishing with Constant Content and sister sites of Techulator. She writes on a variety of subjects that interest her. She is a voracious reader and that helps her keep abreast with the latest in technology. She holds a Bachelor of Arts degree in Eng. Lit, is a mom, a wife, a homemaker and a qualified teacher. That is truly an interesting article. You just enhanced the horizon of our knowledge on the availability of some excellent headphones. Gone are the days when we were satisfied with the headsets supplied in the sales package. Thank you for the positive feedback, it is much appreciated. You are absolutely right in saying that people are not happy with the headsets that comes bundled with the smartphone. They do nothing to complement the gadget or the sound quality. Manufacturers realize this and hence, they have flooded the market with some amazing headsets at pretty competitive prices. Now, there is something available for everyone's budget and personal taste in the market. The consumer now has a wide choice.